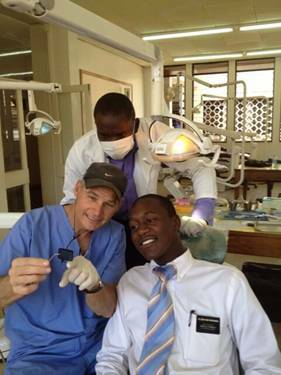 After a long week of work at my dental office in Modesto, California, it was time to pack for a whirlwind trip of unknown adventures to Uganda, Africa. With a bag full of dental tools and supplies in tow, I climbed aboard a plane which would launch us through 11 time zones in the next 30 hours into the heart of Africa to the country of Uganda (bordered by Kenya on the east and the Congo on the west). Uganda’s short life expectancy, lack of access to clean water and rate of respiratory illness, place it among the world’s most unhealthy nations. The first sign of encouragement was in Brussels, Belgium, where two young Dental Hygienists, Katie Cottrell and Alisha Cleaver, both from Utah (with their perfect smiles) made a grand entrance just minutes before the next flight left for East Africa.